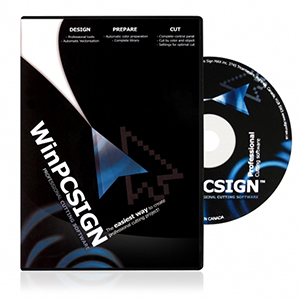 WinPCSIGN 2014 is an innovative, easy-to-use sign making software for Windows 7, VISTA, XP, and NT. It is reasonably-priced and includes more features than other sign making softwares on the market. WinPCSIGN is compatible with all major cutters and engravers, and was developed with the needs of all different types of clients in mind. This software also offers video training guides that will allow you to become a fully-trained sign maker in no time!